Size of this PNG preview of this SVG file: 750 × 450 pixels. Other resolutions: 320 × 192 pixels | 640 × 384 pixels | 800 × 480 pixels | 1,024 × 614 pixels | 1,280 × 768 pixels. English: Flag of Oregon (obverse): The flag was adopted by the state on February 26, 1925. 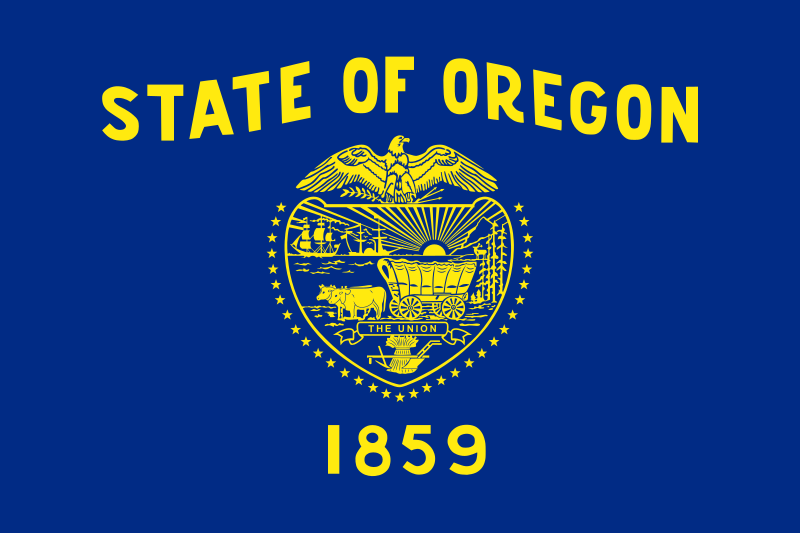 The state seal was decided in 1903. Source From the xrmap flag collection 2.7. Colors derived from image at World Flag Database. This work is in the public domain because it was published in the United States between 1924 and 1963 and although there may or may not have been a copyright notice, the copyright was not renewed. Unless its author has been dead for the required period, it is copyrighted in the countries or areas that do not apply the rule of the shorter term for US works, such as Canada (50 pma), Mainland China (50 pma, not Hong Kong or Macao), Germany (70 pma), Mexico (100 pma), Switzerland (70 pma), and other countries with individual treaties. See Commons:Hirtle chart for further explanation. The README file in that collection says of the SVG flags “We release them in the public domain”. Xrmap grants anyone the right to use this work for any purpose, without any conditions, unless such conditions are required by law. More than 100 pages use this file. The following list shows the first 100 pages that use this file only. A full list is available.